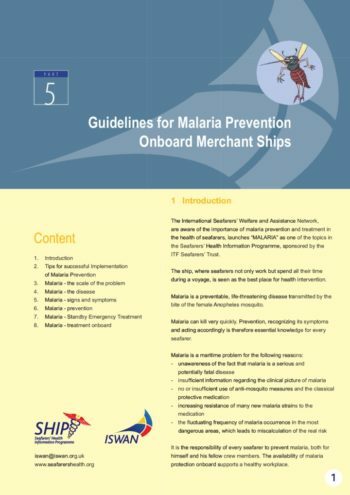 As a travelling workforce, seafarers can find themselves exposed to the risk of acquiring malaria or other travel-related health problems. 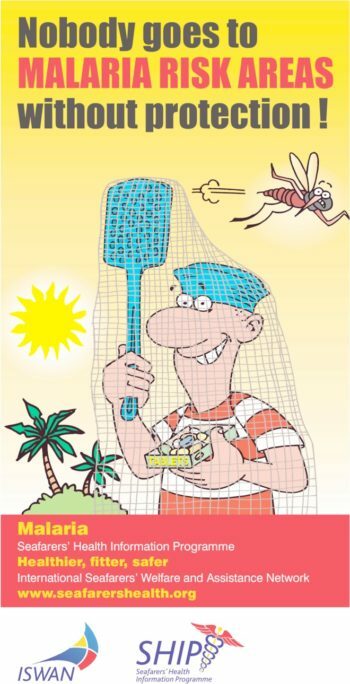 Malaria is one of the world’s most common and serious diseases and is a maritime problem due to lack of awareness about its severity and prevalence, as well as insufficient use of anti-mosquito measures. 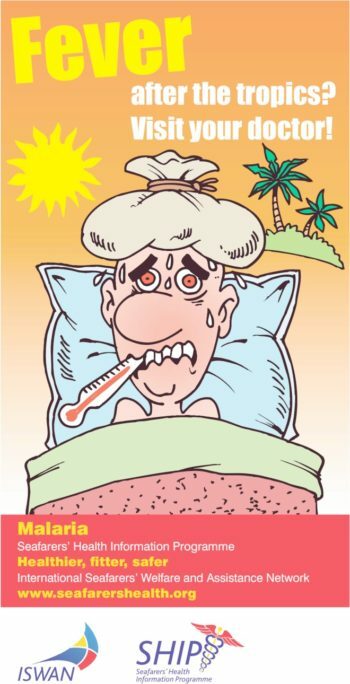 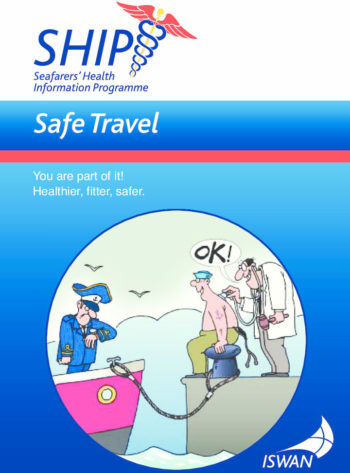 Seafarers also need to be aware of diseases and infections such as hepatitis A and B and typhoid, as well as things like heatstroke and food hygiene, when abroad. 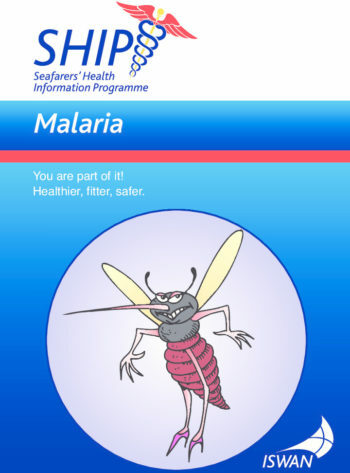 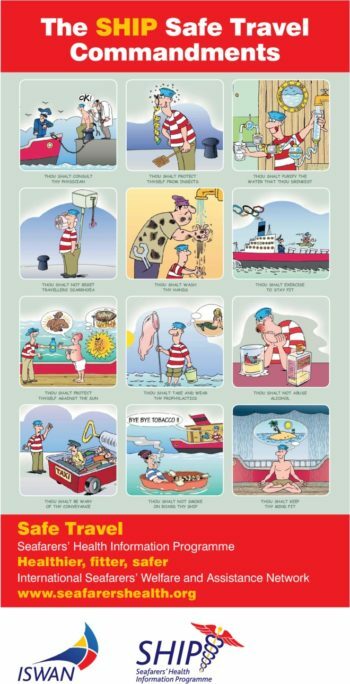 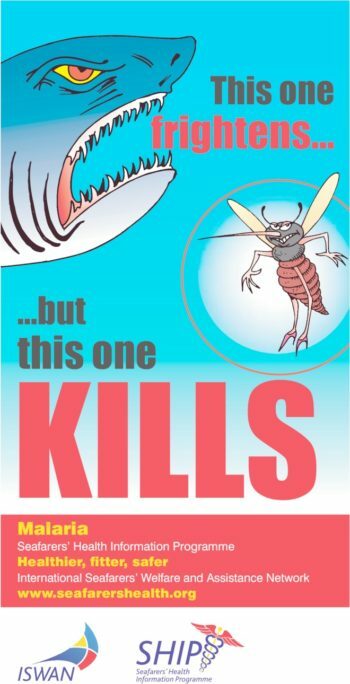 Our resources include guides for seafarers on malaria and safe travel, guidelines for shipping companies on malaria prevention, and a range of posters to show how to avoid malaria and keep safe when travelling abroad.